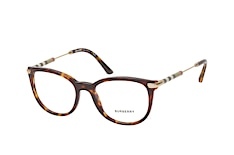 The classic British label Burberry is synonymous with good taste and an air of understatement. Founded in the mid 19th century, the Burberry brand established itself with upmarket weatherproof clothing. 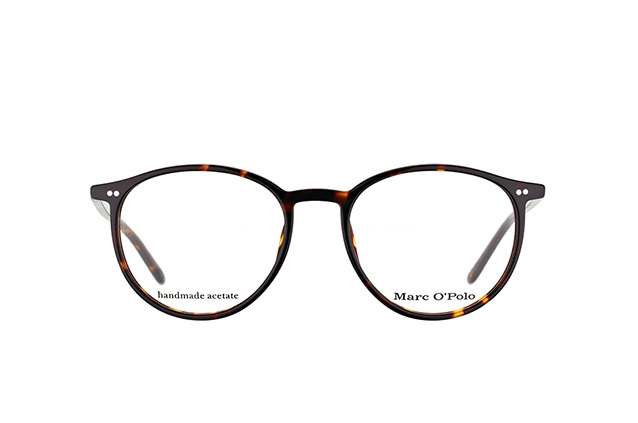 The company founders invented a water-repellent and windproof material that could be repeatedly resealed through impregnation with wax. 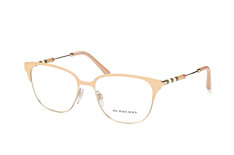 The jackets had a chequered inner lining. The chequer pattern and the groundbreaking manufacturing standards remain typical of the Burberry collection to this day. After a rejuvenating relaunch in the 1980s, Burberry has developed into one of the leading worldwide fashion labels today. 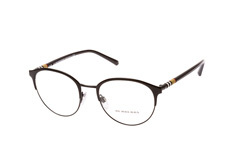 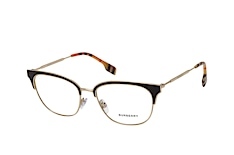 The glasses from Burberry continue the traditions of the Burberry brand. 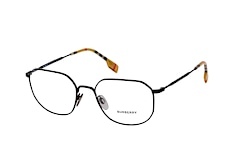 With all Burberry glasses you can be assured of excellent quality and an extremely long life span. First-class materials and innovative designs result in magnificently lightweight frames that sit perfectly on the face. 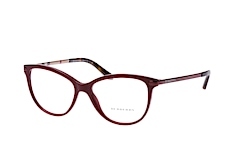 Beautiful shapes and soft lines create a finely structured elegance. The translucent brown Burberry BE 2050 glasses, which feature colourless lower rims, are one particular highlight. 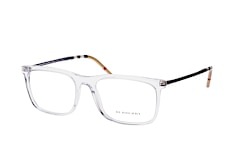 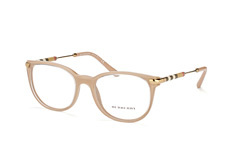 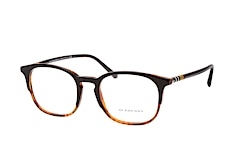 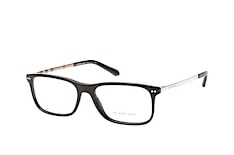 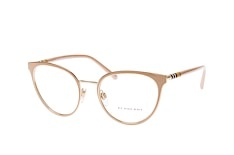 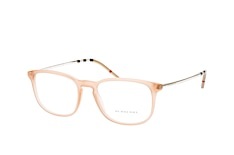 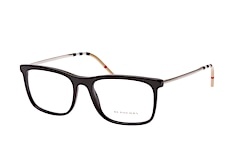 Clear shapes and the subtly positioned Burberry logo on the temples provide an understated style. 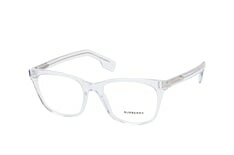 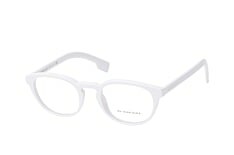 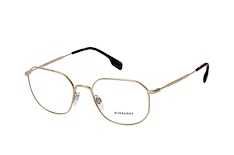 Try the Burberry BE2050 glasses for an unmistakable Burberry look. 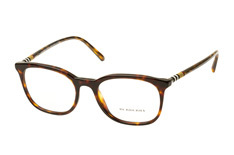 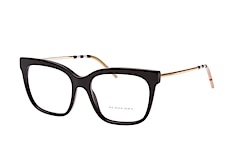 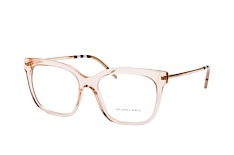 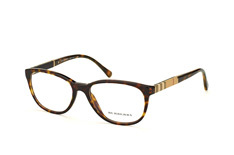 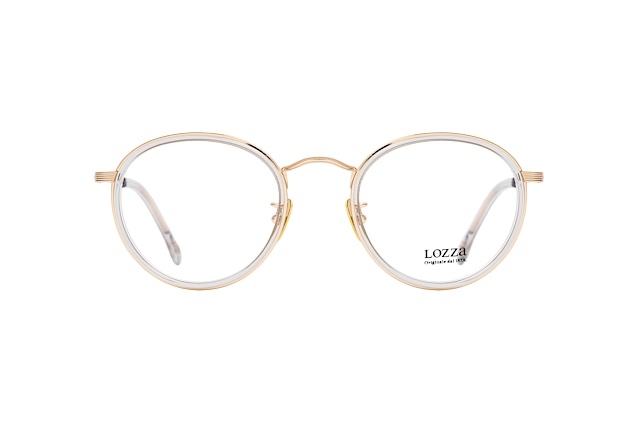 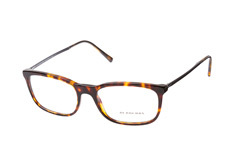 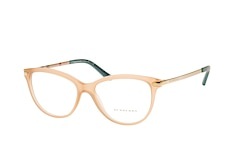 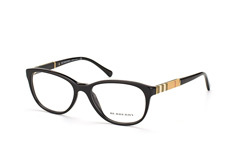 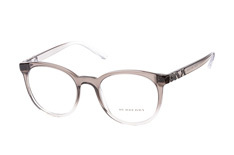 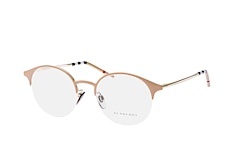 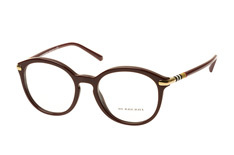 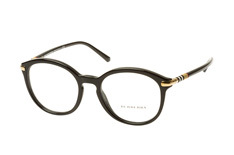 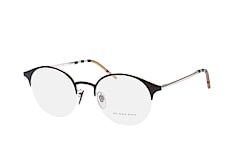 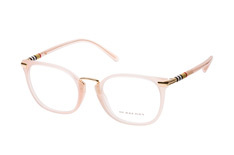 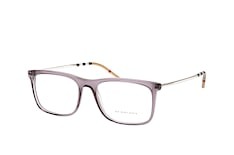 If a vintage look is what you're after, the Burberry BE 2028 glasses are a fabulous design. 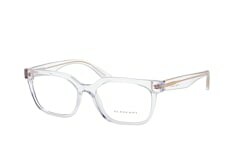 Lightly rounded corners contrast with clear, straight lines to combine elements of the 1950s with modern style. 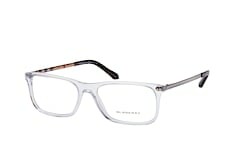 The structure of the frames is also extremely soft in appearance thanks to the translucent elements. But don't just take our word for it - how about a royal recommendation? Burberry has been purveyor to Her Majesty Queen Elisabeth II since 1955, and to the Prince of Wales since 1989. 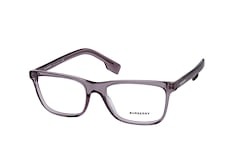 All prescription glasses are shipped as soon as possible to you. 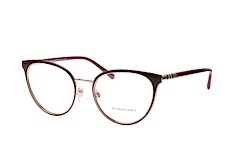 When you buy from Mister Spex, our hand-picked opticians will fit your Burberry glasses with the highest quality plastic lenses at no extra cost. 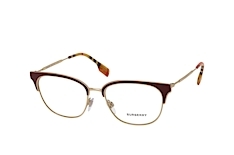 With anti-reflective, scratch-resistant and easy-clean coatings, you're new glasses will offer maximum protection and acuity of vision, alongside Burberry's inimitable style.